What Makes Mano en Mano Unique? For individuals not familiar with the history of the blueberry harvest in Maine, it may come as a surprise that thousands of migrant workers over the years have traveled to the Washington County area to help with the raking of the berries. In the early 1990’s a large number of migrant workers decided to curtail their traveling and set roots in the Milbridge area. Many continued being involved in seasonal work such as raking blueberries, making wreaths, or working in seafood processing. Thanks to efforts of the local schools and town organizations such as the Milbridge Library and the Milbridge Town Office services to the newly-settled residents began to be offered. Language classes and after-school programs were begun. 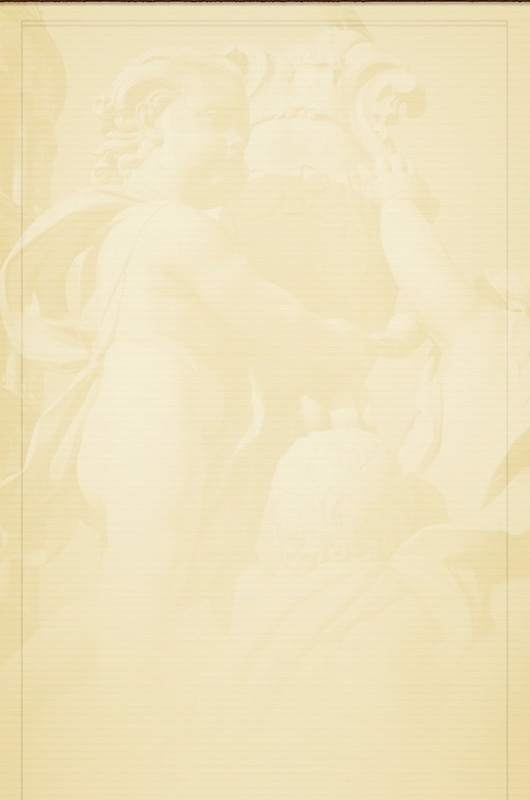 In 2005, Mano en Mano was officially incorporated as a 501c-3. 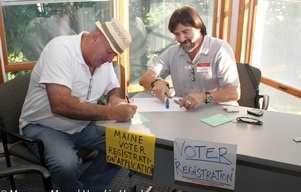 Their mission is to “build a stronger and more inclusive Downeast Maine.” They have reached out to farm workers who are earning income from seasonal farm work such as blueberries, lobstering, clamming, wreath-making, and aquaculture. 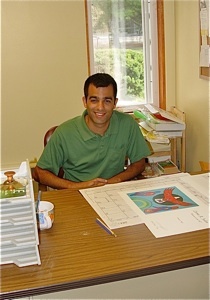 Ian Yaffe has served as the Executive Director of Mano en Mano since 2010. He is a graduate of Bowdoin College. 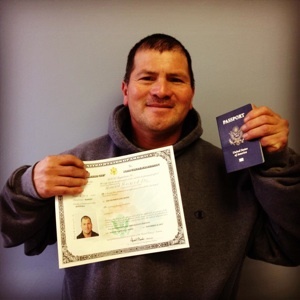 His background in Latin American studies and education have prepared him well. He has been very committed to the mission of community integration. He discussed some of the challenges that migrant workers have faced in Maine. He shared how some people have chosen to overlook the fact that migrant workers even exist, while others have developed an attitude where they feel that the migrant workers have taken advantage of services. Yaffe explained that neither stance is true. 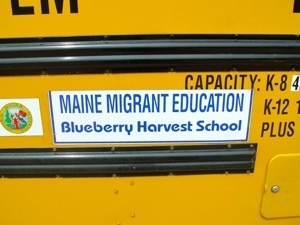 For many years the Maine Migrant Education Program played a role in providing educational services during the summer for the children of migrant workers at the blueberry harvest. 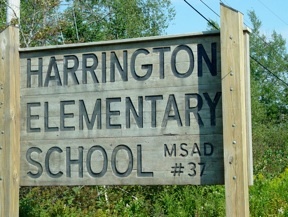 In 2013, they contracted with Mano en Mano in Milbridge, Maine, to conduct the Blueberry Harvest School. 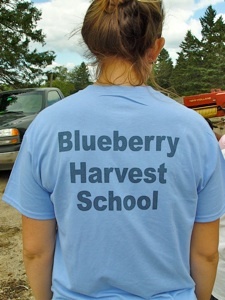 The Blueberry Harvest School welcomes migrant children from three to thirteen years of age to a three-week summer educational program that they describe as “innovative, hands-on, activities-based, thematic, interdisciplinary, and fun.” The students have opportunities to participate in reading, discussions, group project work, and several field trips. 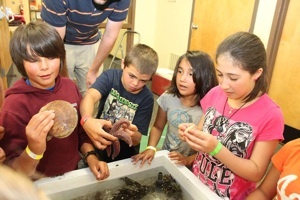 Lessons that focus on marine studies, ecology, and sustainable food systems have been shared in the past. This past summer many Micmac children from the First Nations Reserve in Cape Breton participated in the Blueberry Harvest School. 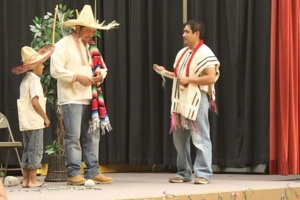 Six Micmac teachers were hired as well as a Passamaquoddy teacher and a Spanish teacher. On-site lessons are provided by Mano en Mano to students from fourteen through twenty-one years of age who were working or living in some of the isolated camps. There is a large focus on helping with life skills, one-to-one tutoring, job training opportunities, high school graduation or the acquisition of high school equivalency. Educational assistance is geared to all ages. Encouraging school readiness for pre-schoolers has been demonstrated through the “It Starts at Home” project which has incorporated the use of iPads. Students interested in attending college are able to access help with their planning, application, and financial aid paperwork. 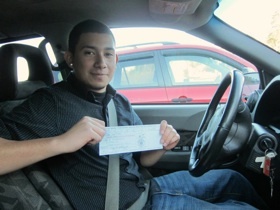 Mano en Mano sponsors scholarships for higher education. The Latino Scholarship Fund was established to provide renewable financial aid to Latino students interested in accessing post-secondary educational pursuits. 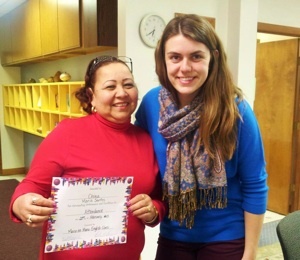 Scholarships are also offered to the Intensive English Institute at the University of Maine at Orono for four weeks of intensive English lessons. The Blueberry Harvest School and the scholarship programs are just one of the many programs that have been undertaken by Mano en Mano. Part of their mission is to provide affordable housing opportunities and rental assistance. Thanks to Mano en Mano, farm workers are assisted in filling out rental applications and in preparing for lease agreements. Mano en Mano built the affordable Hand in Hand apartments that are homes for six families. 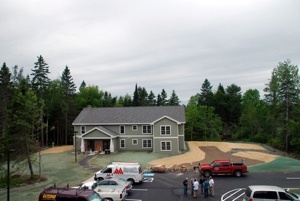 A playground was constructed and children living in the apartments had the opportunity to enjoy gardening through the University of Maine’s Cooperative Extension Kids Can Grow program. confidential resource, farmworkers feel comfortable asking for recommendations for social services and assistance with health referrals. welcomes volunteers from the community to become involved. Volunteer participation is encouraged from all ages and backgrounds. Mano en Mano recognizes the value that individuals can contribute in all types of occupations whether it might be an accountant, farmer, teacher, musician, artist, mechanic, summer resident, computer savvy individual, language tutor, or childcare provider, etc. 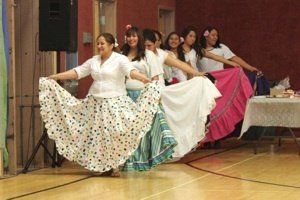 Many family-friendly community events and activities are organized by Mano en Mano. 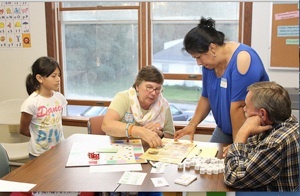 Workshops are conducted in both Spanish and English on such topics as banking, nutrition, fire safety, and financing. There have been programs that foster language skills in both Spanish and English and Civic Engagement Initiatives to increase voter turnout. Local businesses and agencies have benefitted from trainings that share information about positive ways to relate to diverse populations. 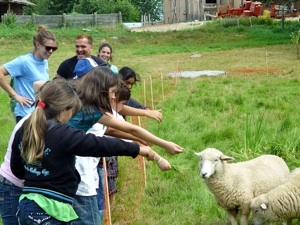 Students from the Blueberry Harvest School visited Darthia Farm. (Photo courtesy of Mano en Mano).